NAIROBI, Jul 22 2014 (IPS) - At the eastern edge of Nairobi’s Kibera slum, children gather with large yellow jerry cans to collect water dripping out of an exposed pipe. The high-rise grey and beige Soweto East settlement towers above them. A girl lifts the can on top of her head and returns to her family’s third floor apartment. It’s been 12 years since the Kenya Slum Upgrading Programme, or KENSUP, launched its pilot project in Kibera. Many residents feel the government and United Nations’ Human Settlements Programme, or U.N. Habitat, have abandoned them soon after its doors opened. In 2009, nearly 5,000 Kibera residents were relocated to the KENSUP Soweto East settlement. The 17 five-storey buildings are home to around 1,800 families. Population estimates in Kibera range from 800,000 to 1.2 million, making it one of Africa’s largest slums. According to the U.N., cities are now home to half of the global population. Forty percent of Kenya’s 43 million people are living in urban areas. More than 70 percent of Nairobi’s 3.1 million people live in 200 informal settlements, or slums. 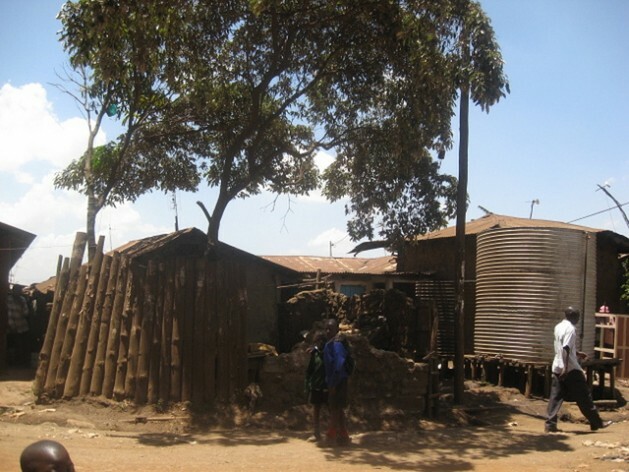 A lack of affordable housing in the city makes Kibera an attractive place to settle. Godwin Oyindo, 24, is a recent university graduate and a close friend of Olali’s son. He grew up in Kibera and was hopeful this housing project would change the lives of all its residents. “This slum upgrading project was established to address a few things in Kibera, the security of tenure, the housing of people, accessibility to services, and also to generate economic activities. One of their main objectives is a slum free society,” Oyindo told IPS. Olali is now weighing her options, whether or not she should move her three kids out of this apartment project and back into the slum. The fact that she has no running water forces to make a long trek through Kibera to visit the public toilet. This costs her five Kenya shillings each time.